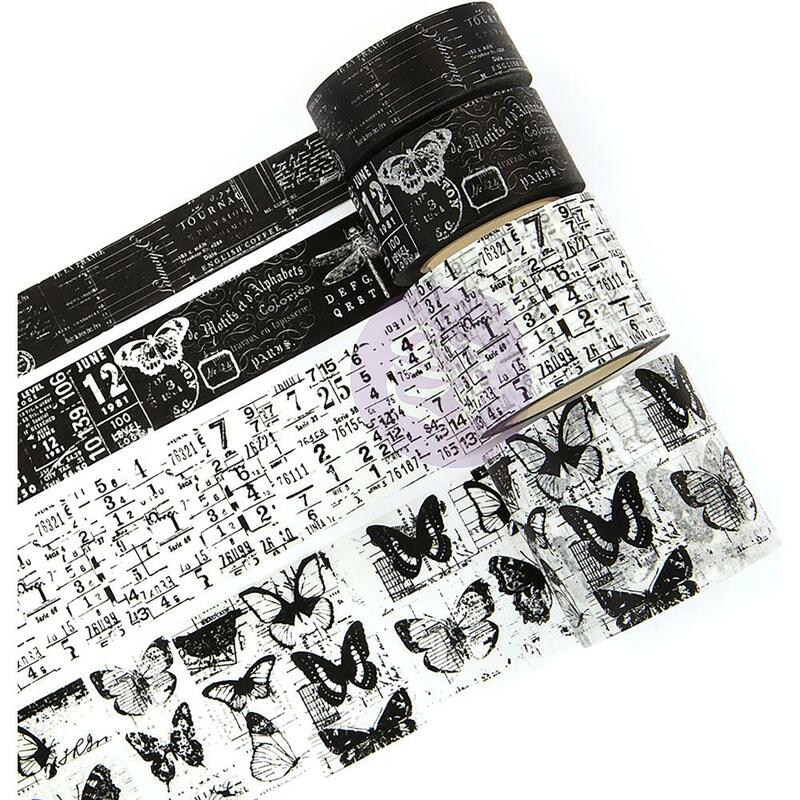 This Prima Traveler's Journal Washi Tape has four (4) Rolls of Black & White Vintage Designed Tape. Each roll of Washi Tape is approximately ten (10) Yards of each design. Product by Prima Marketing Inc.